Netflix's three-part horror mini-series Ghoul starring Radhika Apte premiered on 24 August and has received praise for its fresh approach towards the genre by critics and audience alike. Following this, the streaming giant released a video on 2 September that goes behind-the-scenes and delves into the process of creating this successful project. Producer Vikramaditya Motwane spoke about director Patrick Graham's love for all things blood and gore. Apte talked about her character Nida Rahman, a new recruit posted at a covert detention facility, describing her as a "badass girl". 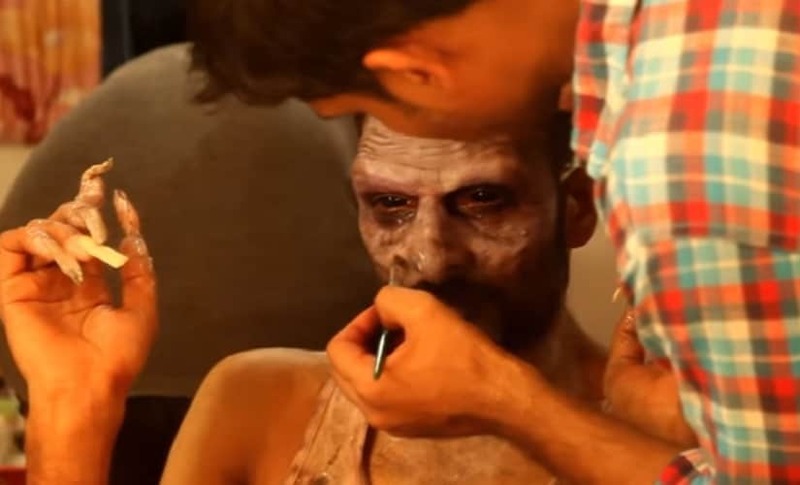 The clip shows Mahesh Balraj in the makeup chair, prepping for his role as the Ghul. "His job was the toughest. And I used to just wonder sometimes how he's silently just sitting there with all that [make-up]", said Apte. Graham also mentioned that after going through a lot of candidates, they finally found Balraj perfect to play Ali Saeed. Vintee Bansal, the production designer of the project, spoke about the location where the series was shot — in a basement without any scope for natural lighting. In a previous interview with NDTV, it was revealed that the team had spent long hours shooting in the 'leaky, damp and horrible smelling" setting. The video concludes with Motwane saying, "He [Graham] has changed the entire model of how horror films are made in the country." Ghoul also stars Manav Kaul as Sunil DaCunha and Ratnabali Bhattacharjee as Major Das. The series has been produced by Phantom Films along with Jason Blum's Blumhouse Productions and Ivanhoe Pictures.